It’s old news that chapter 13 bankruptcy can stop a foreclosure. When you file chapter 13 bankruptcy the automatic stay prevents the lender from executing a Trustee’s sale or otherwise continuing with the foreclosure process. However, what many people who lose their homes to foreclosure do not realize in time is that chapter 13 bankruptcy can stop foreclosure permanently. While chapter 7 bankruptcy will temporarily stop foreclosure due to the automatic stay, the lender will eventually be able to continue with the foreclosure process because you are in default. In chapter 7 when you are in default on a secured debt the lender will eventually be able to go after the encumbered property, although your personal liability will be discharged. In contrast, chapter 13 allows you to cure defaults on long-term debts while you keep the secured property. Once you are caught-up on your mortgage through your chapter 13 repayment plan you will no longer be in default. As a result, the lender cannot foreclose upon your home after chapter 13 since you’ve cured the delinquent payments and become current. Why Can’t Chapter 7 Save My Home? Only chapter 13 allows you to cure defaults on long-term debts. Chapter 7 is the liquidation form of bankruptcy. It’s fast and just involves the sale of non-exempt property in exchange for a discharge. Chapter 13 is a consolidation and repayment form of bankruptcy, and one distinct feature of chapter 13 bankruptcy is that you can repay late payments on secured debts over time and thereby become current, removing yourself from default. To understand why chapter 7 cannot save your home you must understand that liens survive bankruptcy. While your personal liability for a secured debt can be discharged in chapter 7 bankruptcy the liens on your property remain. 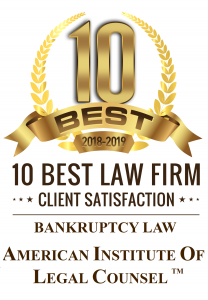 If you are in default and enter into chapter 7 bankruptcy the creditor’s lien on your car will survive and they will eventually be able to repossess the car since you are in default. If that were not the case you could file chapter 7 bankruptcy and stop paying your mortgage, car payments, etc. To avoid that absurd result liens survive bankruptcy.